I'm a typical backpack wearing, map toting, picture taking, sight seeing tourist! I know, I know, I live in a resort town and make fun of the tourists all the time but when I travel I want to take full advantage of each place I visit. Call me foreigner, rubber necker, hick, fudgie, conie, whatever condescending name you can think of, I'm there to have fun and see new things. My first love is what the outdoors has to offer in my vacation spot. Then, culture, history and food. 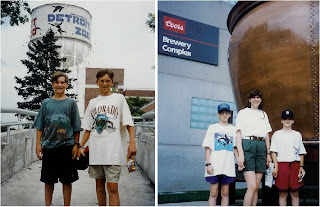 But for some reason I often gravitate toward breweries and zoos. I've been to so many I can't rememeber them all, but I'll name some cities and you decide if I toured a brewery or a zoo there. Detroit, Detroit, (that's not a mistake, Detroit had both), Milwaukee, Chicago, St. Louis, Tampa, San Diego, Washington D.C., Denver, Dublin, Ireland, and Montreal. Then there are countless smaller ones in places like Traverse City and Houghton, Mi. I'm headed for Detroit tomorrow and we're going to the zoo! 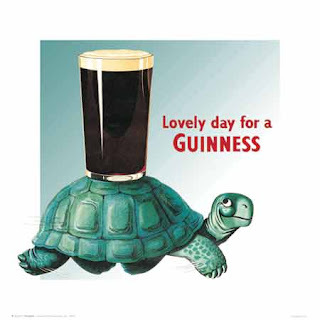 Guinness once had an ad that seemed to combine both! We can't wait to go see the zoo with you!!! !